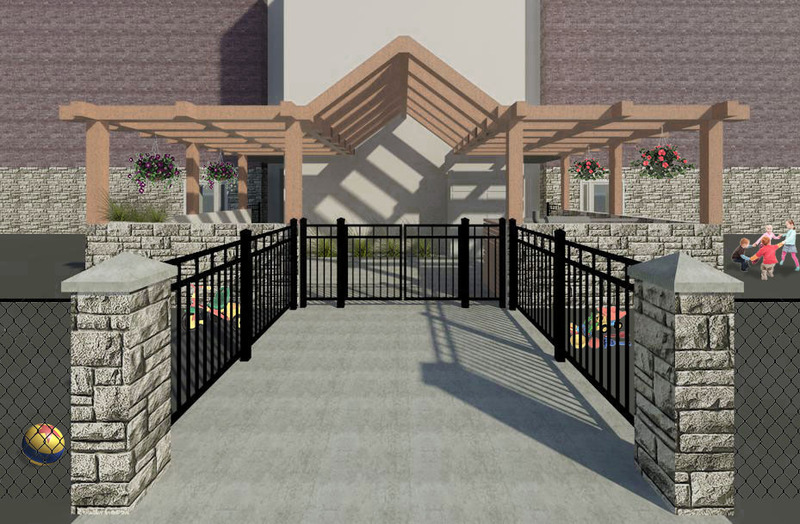 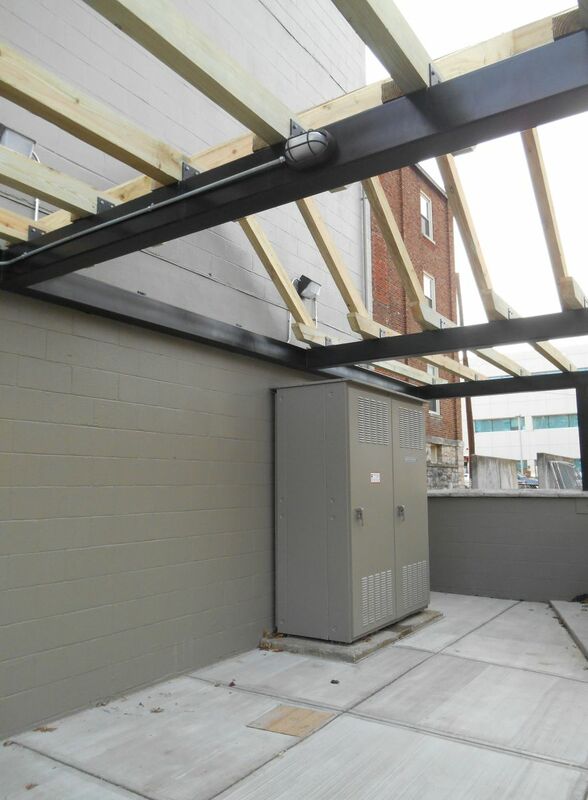 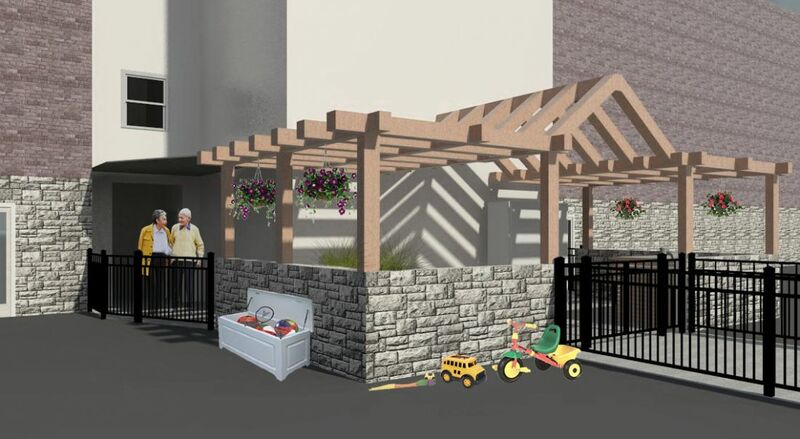 The back entrance at the Southern Apartments building of the Housing Authority of Frankfort was updated for security, accessibility, and aesthetic purposes. 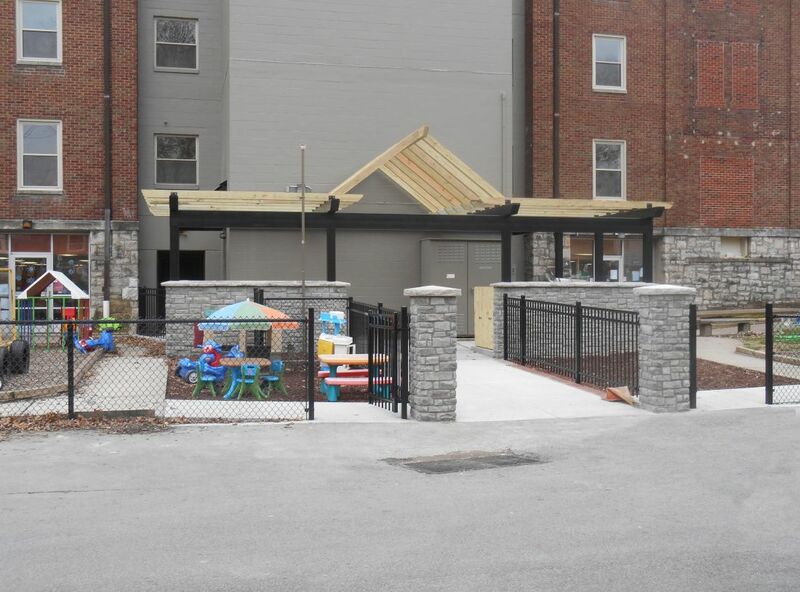 Since new flood walls were constructed closer to the nearby Kentucky River, the tall red flood walls that encompassed the back entrance to the apartments were no longer necessary. 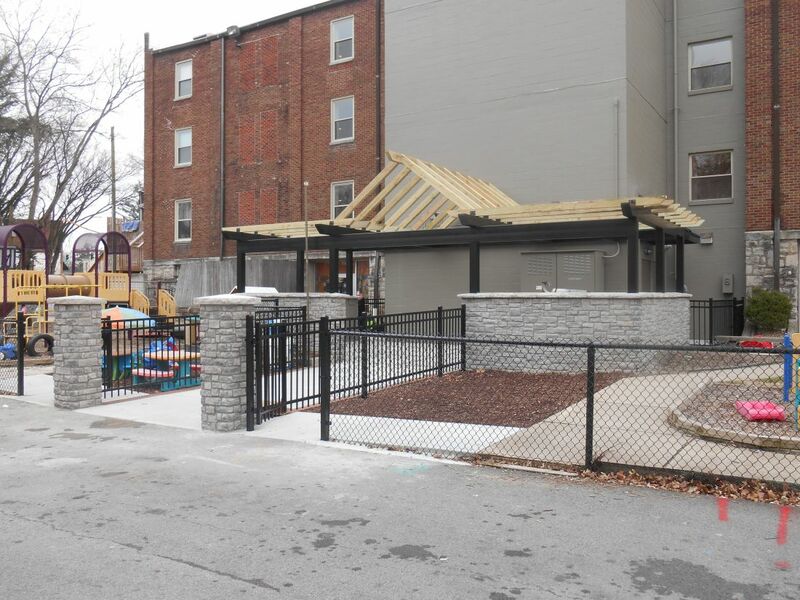 These walls also created visibility and security concerns as children’s daycare centers were on both sides of this entrance. 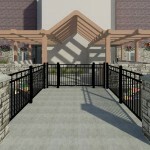 Exterior renderings were created to show the client the potential uses for the existing walls. 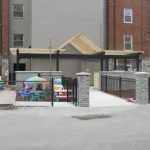 These walls were cut down to match the existing fence height, and were wrapped in a stone veneer similar to the existing first floor stone exterior. 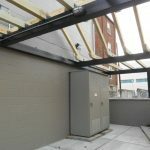 The 4-story stair and elevator shaft was painted a color similar to the stone for a more aesthetically pleasing look. 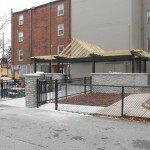 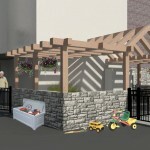 A structural pergola-like wood and steel design was installed on top of the shortened flood walls. 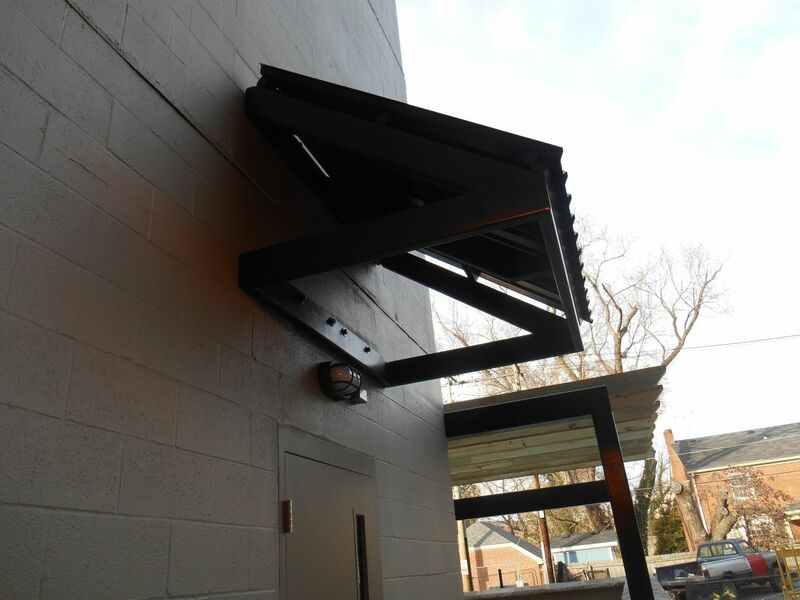 Steel canopies were installed above the stair exit doors, and all exterior doors were replaced to meet handicap accessibility requirements. 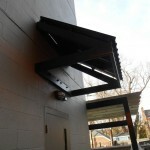 To complete the project, a new security key card system was installed at the front and back entrance doors.